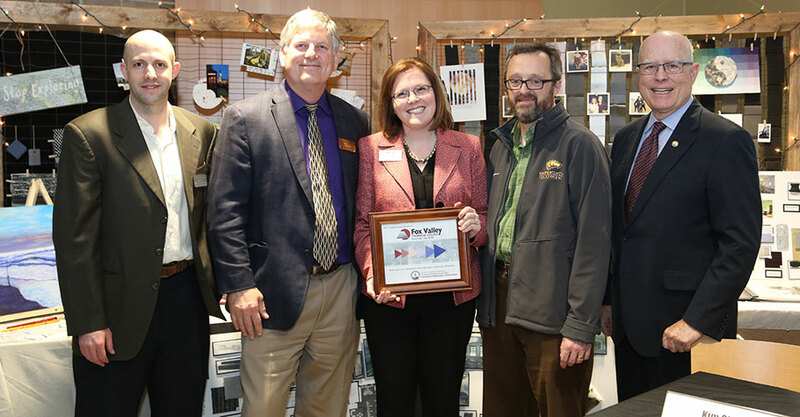 Aspiring interior design professionals can now seamlessly transfer from the Fox Valley Technical College associate degree program in interior design to the University of Wisconsin-Stevens Point to earn a Bachelor of Fine Arts in Interior Architecture, as the two institutions signed a program-to-program articulation agreement. Fox Valley Tech students in the Applied Science in Interior Design (AAS) and/or Kitchen and Bath Design (AAS) program will gain solid foundational technical skills and project experiences in design, setting them up for smooth transition into and successful completion of UW-Stevens Point’s professionally-accredited interior architecture program. Prior to enrollment at UW-Stevens Point, students enrolled at FVTC are encouraged to consult with UWSP academic advisers throughout their AAS program to make an academic transfer plan. To learn more about the transfer process, students can contact Professor Aaron Kadoch at aaron.kadoch@uwsp.edu. The UW-Stevens Point interior architecture program is accredited by the Council for Interior Design Accreditation (CIDA) and the National Association of Schools of Art and Design (NASAD). The FVTC Kitchen and Bath program is accredited by the National Kitchen & Bath Association.